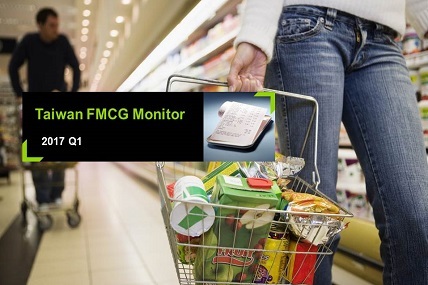 TW FMCG market was still in a growing trend, and E-commerce had a significant contribution. Taiwan’s GDP has grown continuously for four quarters, which is supported by the increasing demand of both export and service consumption. Focusing on the FMCG market, overall, it was still in a growing trend, and E-commerce had a significant contribution. Consumers are looking for safety, healthiness and happiness in food. Fast-cooked noodle, cooking oil and cheese let people cook at home and fulfilled their need of food safety. Sugar-free soy milk, coconut water, sugar-free liquid yogurt and solid yogurt all linked to the concept of healthiness. Candy and snacks could add additional happiness to buyers’ life, which also performed well. The growth from makeup had enlarge non-food market. Also, it is observed that there was a trend of personalization in shampoo, toothbrush and soap. Moreover, lots of imported brands entered Taiwan’s laundry detergent market, which provided more offers to customers. PX mart still maintained its leading role in food category. On the other hand, reaching 30% growth rate in sales value, EC was another channel that full of potential. Momo, Yahoo and Pchome were the biggest retailers, while Shopee and Facebook were two fast-growing platform that shouldn’t be neglected.